Designing some custom configurations with our NovaXL Dual side-by-side arch bridges. Also included are extended 10’ horizontal bridge on each! Customized with all the latest for functional fitness, calisthenics, OCR, and ninja warrior training. Some new MoveStrong training features includes The Revolver Pull-up Bar and UnstableBridge. See these new options and more on our NinjaStrong page. The NOVA XL bridge is a patent pending design expanding 20 feet in length and modular to leave open traning space under the the bridges. 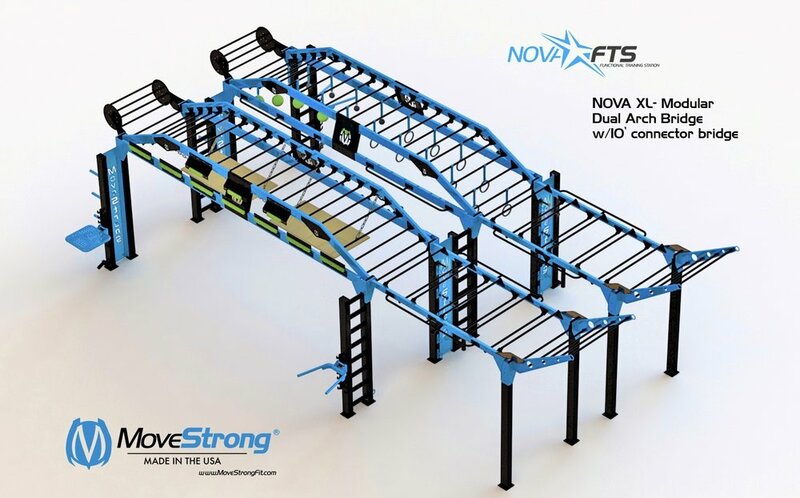 A two-bridge system in one NOVA XL, with lower support rails and the above arched monkey bar bridge, gives many options for overhead fitness training tools, suspension trainers, heavy bags for boxing and kickboxing, obstacle course, and ninja warrior training. 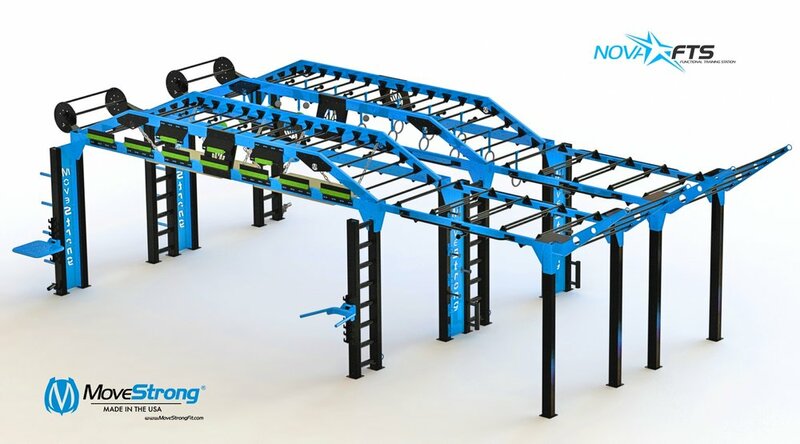 MoveStrong NOVA XL modular with Cliff hanger, Revolver pull-up, arch monkey bars, traveling rings, unstable bridge, cannonball alley, and more!